Lakefront property with awesome water views from kitchen, great room, master suite, upstairs bedrooms, screened porch & rear deck! 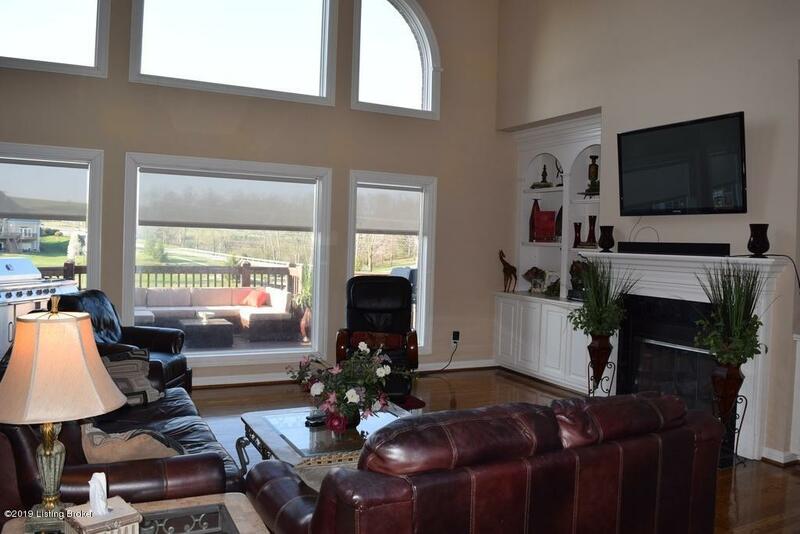 LOADED w/special feature gleaming hardwood flooring on 1st floor; 9 ft ceilings on 1st floor & lower level; beautiful moldings; central vac; house is wired for surround sound inside & out; covered porch, rear deck & lower level patio; security system & irrigation system; HUGE 3 car garage; large .45 acre lot. 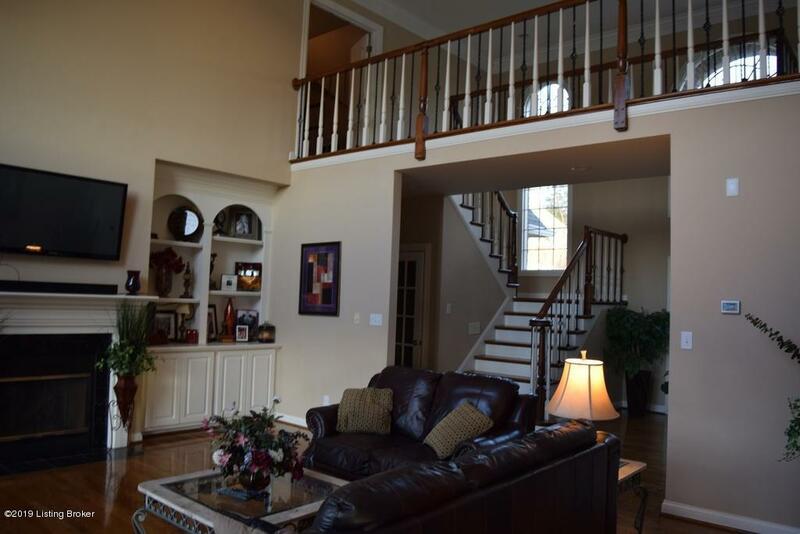 2 story Great Room has soaring ceilings, a wall of windows, gas fireplace, built-in bookcases and overlooks the lake. Eat-in Kitchen has quality custom cabinetry, granite countertops, stainless steel appliances (cooktop, dishwasher, oven & advantium oven included) & an oversized breakfast area. 1st floor Master Suite is separated from the rest of the homeand features a trey ceiling, large walk-in closet, and a lavish bath with whirlpool tub, separate shower, double vanity and dressing table. Rounding out the first floor is a powder room off the entry foyer and a laundry/mud room off the garage. 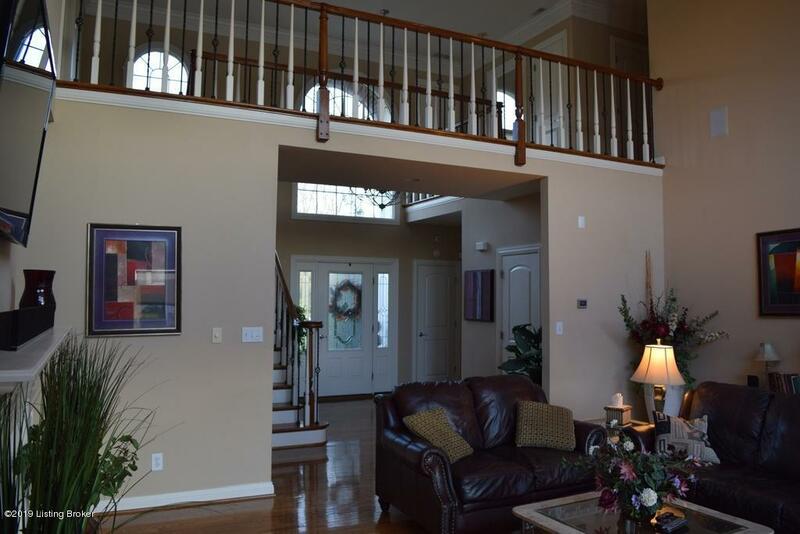 An open staircase and catwalk leads to the 2nd floor finished space, including 3 very large bedrooms, 2 full baths and a bonus room. The lower level is finished (with 9ft ceilings) and features a home theater area (wired for surround), a rec/billiards area, a bar area, a large 5th bedroom, a 4th full bath and plenty of unfinished storage space. A walking trail with park benches and small bridge is situated just over the lake. 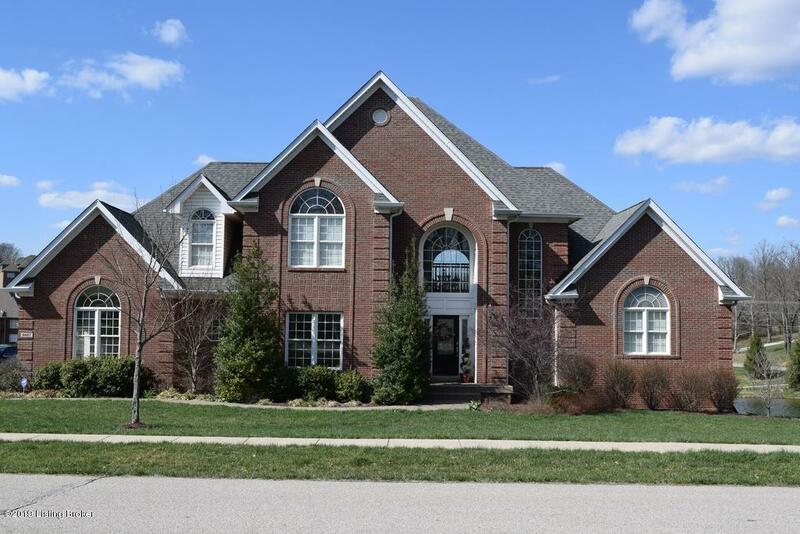 Convenient access to I-71 and minutes to Louisville. Award winning OLDHAM COUNTY SCHOOLS!